Tata Simonyan is an Armenian singer, songwriter and actor. In 2006, he received the title of the Honored Artist of Armenia, and was nominated for “King of Pop” in Moscow in 2008. As an actor, he has appeared in several films, including Our Yard (1996), Star of Love (2003) and 3 Weeks in Yerevan (2016). From November 2012 to April 2013, he worked as a trainer in the Voice of Armenia project. Tata was born on October 8, 1962 in Yerevan, Armenia as Albert Simonyan. 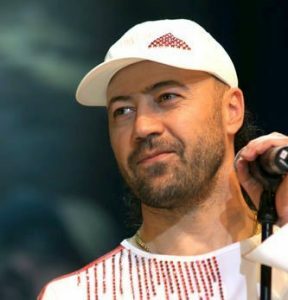 He released his first album, Yerekon Idjav in 1996. *He was born on October 8, 1962, in Yerevan, Armenia. *His real name is Albert Simonyan. *In 2008 he received the title of ‘King of Pop’ in Moscow. *Follow him on Myspace, Facebook and YouTube.